Blockchain technology has become a popular topic in the enterprise technology space, it underpins cryptocurrencies such as bitcoin. Much of the discussion surrounding it focuses on how businesses can use it within the supply chain. Some industry experts believe blockchain will replace EDI. That day is not here yet, and will not be for a long time. 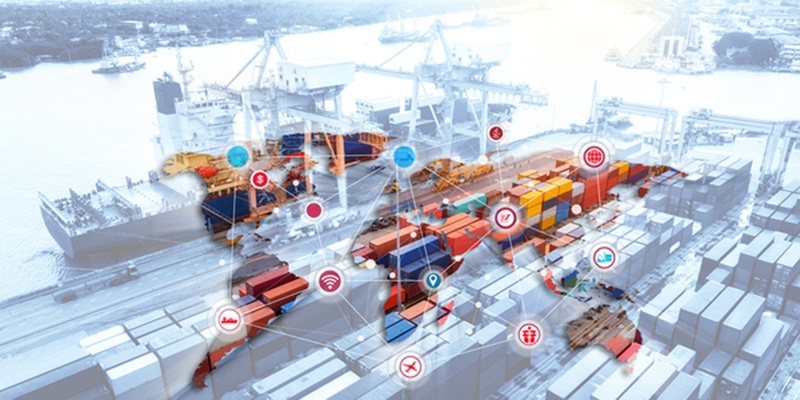 Read on to learn about the challenges of implementing the technology, and why an EDI system is still an excellent choice for communication between trading partners. Why Does Your EDI System Have Such Staying Power? Although there have been plenty of predictions about the demise of the EDI system, those reports have been exaggerated. To understand why we need to look at recent enterprise technology history. Marco De Vries, senior director of product marketing for the OpenText Business Network, explained in an interview in Forbes that technological innovation often increases, rather than reduces, complexity. He pointed out that many believed AS2 standards would replace B2B networks though the result was those standards making things more complicated for organizations. “There are 50 different XML standards, and if I’m in a lot of different industries, how am I going to keep track?” De Vries commented. Blockchain: Is It Really a Powerhouse? Blockchain represents a fantastic solution too many of the communication problems businesses face. It is a series of open, distributed ledgers in which suppliers, partners, and customers enter transactions. The technology promises to cut out the middleman so there is greater transparency. Yet, as OpenText’s De Vries notes, the technological constraints do not signal the end of EDI, there still needs to be a system of record hosted somewhere. If you want to send an order or issue an alert, the ledger does not perform those tasks. There are challenges in governing the ledgers. Supply chains would link to an open, global blockchain ledger that no one controls for maximum transparency and efficiency. That's not a realistic proposition though; blockchain ledgers operated by vendors are already popping up. Also, for the ledgers to be effective, there needs to be agreement on standards for interoperability, which will take time to achieve. The nature of blockchain ledgers–decentralized, automated, and operating beyond national borders—is at odds with international law, with its focus on the power of governments and property rights. Industry analysts predict legal challenges will arise in response to blockchain’s growing popularity. Blockchain ledgers show enormous promise for the supply chain; they provide an unprecedented level of transparency and make the process of communicating between partners efficient and fast. They are not ready to replace your EDI system; significant technological and legal challenges need to be overcome before that can happen. To learn more about your EDI system’s staying power, contact us today!